My name is James Gary. 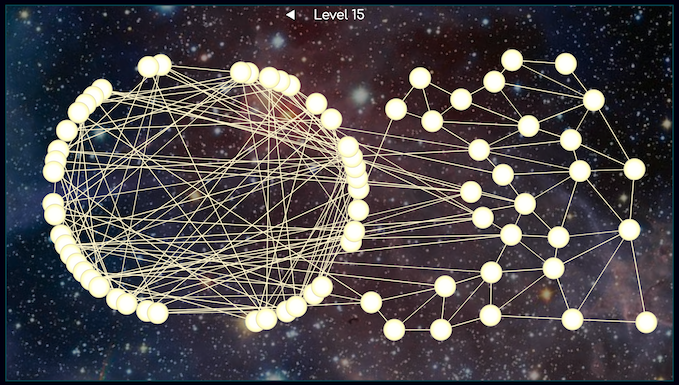 A game about untangling the stars. Joyfully built with Elm. Still a work in progress! 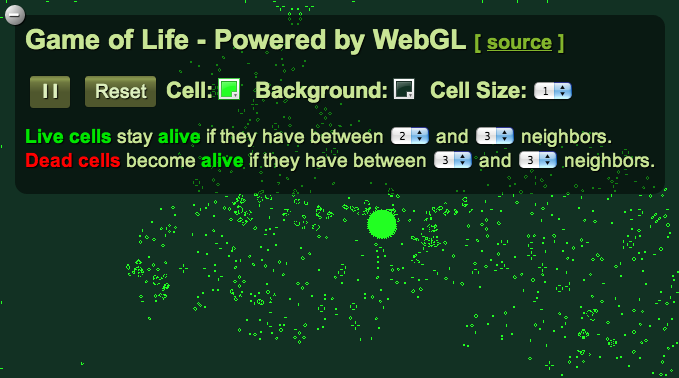 Super smooth Game of Life demo powered by WebGL. 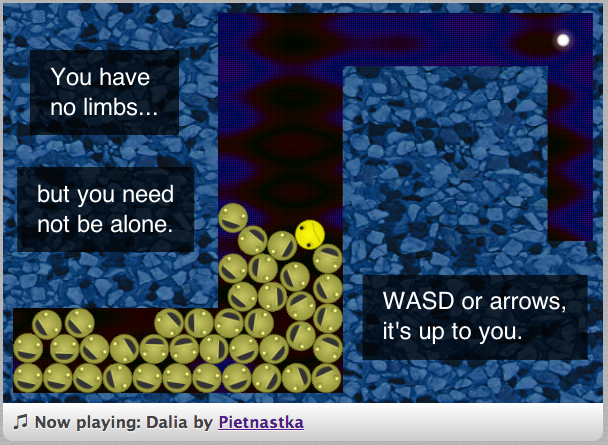 WebGL is complicated. Definitely use a library next time. WebGL still is not ready for primetime. Not everyone has a MacBook Pro or a $300+ video card. Mobile is still far from supporting WebGL. Make your way through 20 puzzlicious levels using only your power of cloning. RequireJS is awesome and can do just about anything you want. Configuration can be frustrating, but payoff is worth it. Learn quickly the limitations of vendored libraries. box2dweb freezes the browser when objects exceed their space. Deadlines are very good motivators. 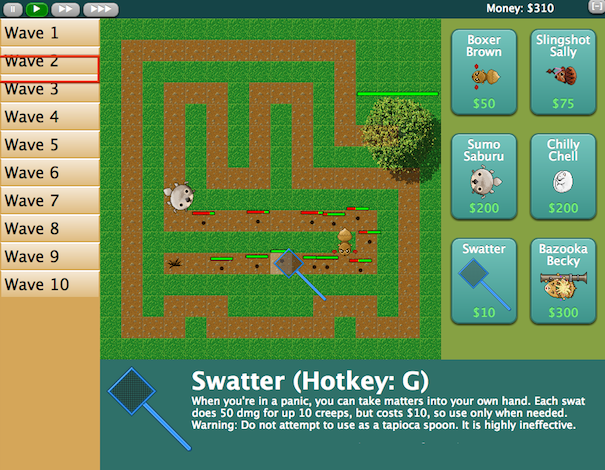 Tower defense game featuring squirrels defending their homeland against swarms of bugs. No music, minimal graphics, but hey, it was my first game. Don't leave difficulty configuration to the last minute. I'm both a better and worse artist than I thought.